One of our favorite racing series on the planet—the beautifully high-tech World Endurance Championship—is about to make some big changes. Lone Star Le Mans is the last chance in America to enjoy things as they are, with Porsche and Toyota battling each other in the top LMP1 class. We’re here at Circuit of the Americas this weekend to enjoy the best race cars one last time. The WEC will skip all of North America next year as part of its two-year 2018-2019 transitional season, and not come back (as far as has been confirmed so far) until the 12 Hours of Sebring in March 2019. This is it: our final shot to enjoy the Porsche 919 screaming by, and our last time to enjoy these cars in Austin for the foreseeable future. Porsche currently leads Toyota in the manufacturers’ championship, but with four races left in the nine-race season, the title is still up for grabs. So, we’re here to try to sniff out some answers on the future of this series. What will LMP1 look like? Where is that “to be confirmed” race date in February 2019? Who’s staying, who’s coming and who’s leaving? Meanwhile, we’re also here for you. 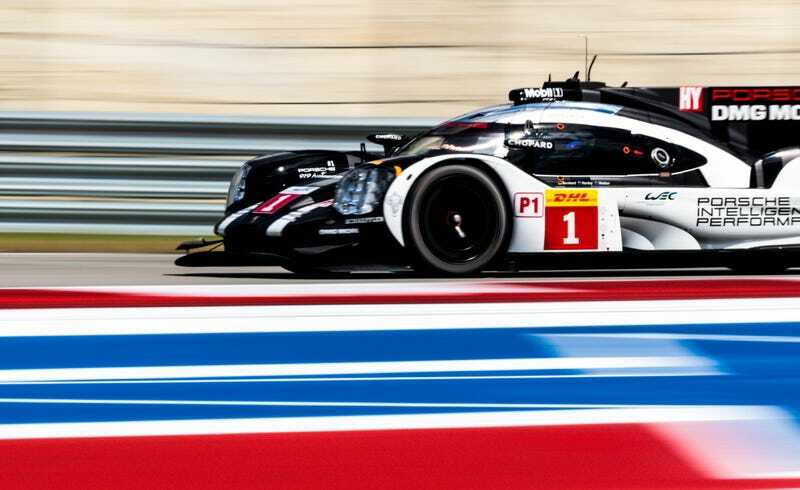 What do you want to know about the WEC and their race here in Austin? Let us know in the comments below and we’ll try to dig up some answers. If you’re in town—which you should be, given the fact that it’s our last chance here to enjoy the WEC in its current form before it becomes something much different next year—come hang out with us! We’ve got a Jalopnik meet-up this Friday, September 15, at 8:00 p.m. at Lustre Pearl East. Bring your friends, family and also the Porsche 919 since they won’t be using it anymore.